Checkins into KDE svn / git (Taken from lists.kde.org). 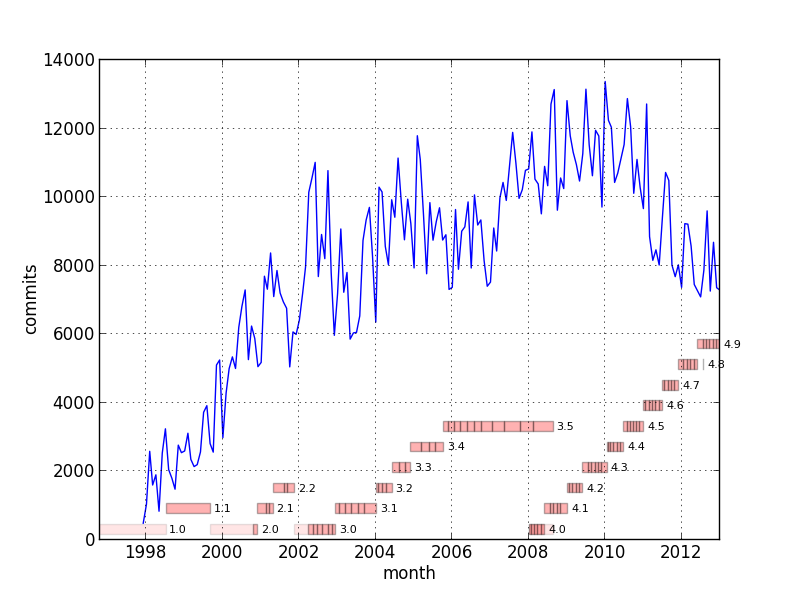 The chart shows the monthly number of KDE svn checkins, that is you find one data point for every month. Please keep in mind that every commit usually modifies several files.